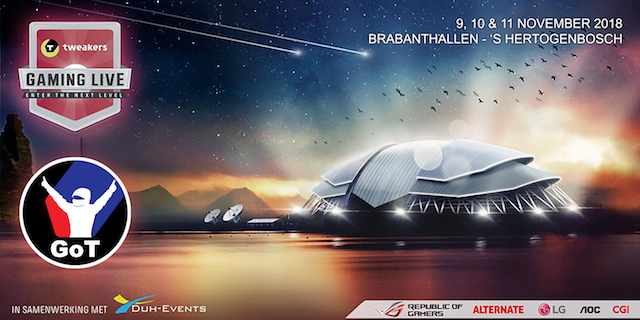 Last weekend the first edition of Tweakers Gaming Live was held in the Benelux. 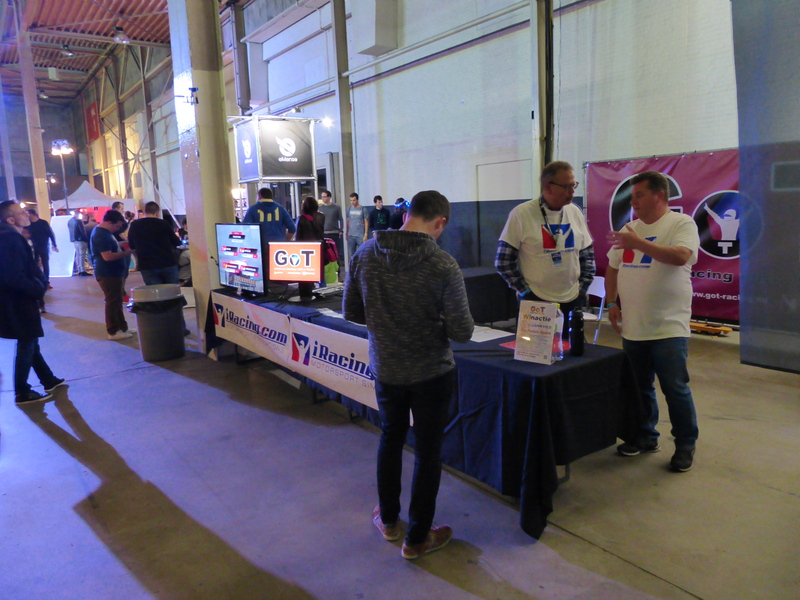 Sim racing was well represented with several commercial and non-commercial stands. First of all Sim-Lab was well represented with 2 sim cockpits, drawing a lot of attentions to our area. 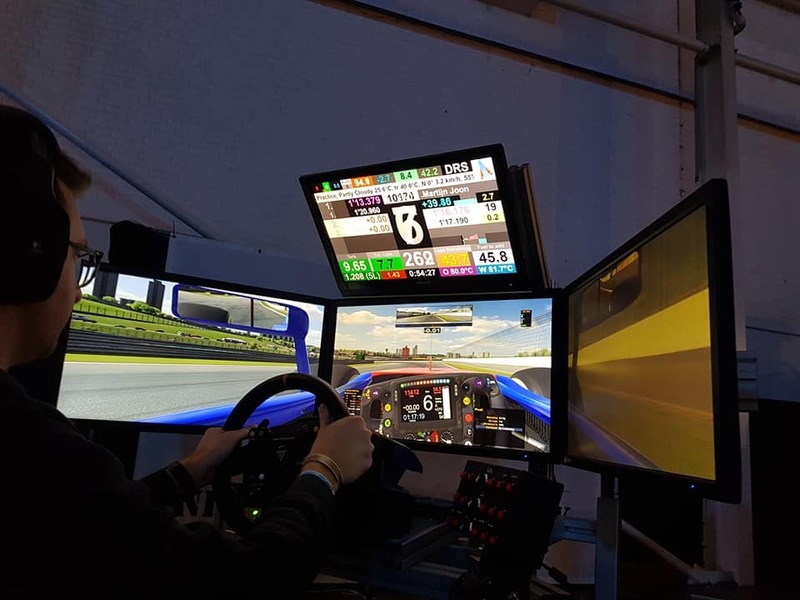 They had one sim-rig with a single screen and Fanatec hardware where visitors could set a fast lap to win a brand new GT1-EVO chassis. The happy winner of this hot-lap competition is Arjan de Vreede with a 1.41.5 around Circuit Park Zandvoort in the Porsche GT3 Cup with iRacing software. The second cockpit was a bit more extreme with a D-box motion / P1 cockpit, Heusinkveld Sim Pedals Ultimate, Direct Drive wheel and three 32″ BENQ monitors. People were invited to do a few laps in this intense setup, where Sim-Lab also changed track and car, if visitors had specific wishes. Both Sim-Lab sim-rigs ran iRacing commercial software. 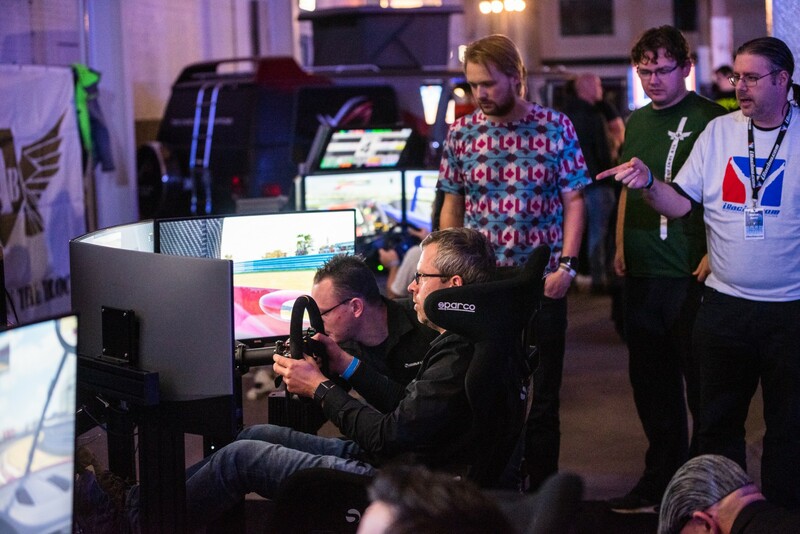 Martijn Joon, Alwin Kloosterman and Gerrit Kortlever forming NAB Racing an endurance raceteam with its roots in our iRacing community took two of their sim-rigs apart to show them at Tweakers Gaming Live and also participated in an endurance race Saturday evening. As community we were represented by Joep, Gerrit, Alwin, Marco, Frans, Nick & Nick. In our area we showed broadcasts of past races, explained what we as community do and what iRacing is. Our stand looked great with thanks to Duh-events and Tweakers for being very flexible and provide us with all kinds of materials to make it look rather professional! 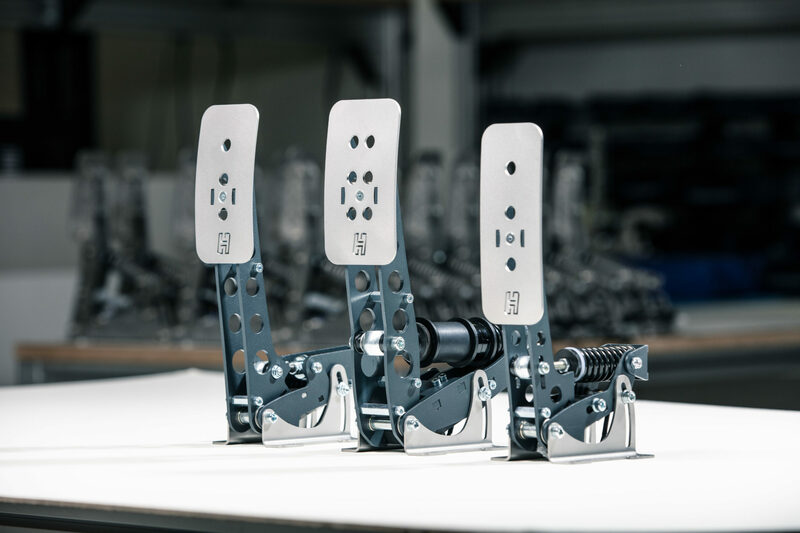 Because Heusinkveld Engineering is at the moment in the process of assembling the new Sim Pedal Sprint pedals and therefore fully occupied they asked us to represent them during the event with some folders about the new pedals. Heusinkveld Engineering did support the sim-race community with a giveaway action of two brand new Sim Pedal Sprints! The winners of the Sim Pedal Sprints are Alex Poldersma & Gerrit Kortlever. We wish them both a lot of good racing and fun with the pedals. All in all it was a nice event and we really hope Tweakers makes it an annual event. 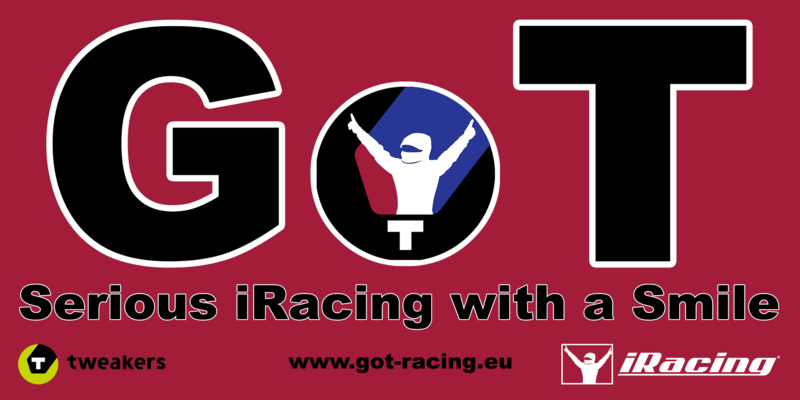 And in that case we as GoT Racing will be back and we will then try to get more soft- and hardware suppliers involved to make it even more interesting for the die hard sim-racers.